Sweeping between Prague during World War II and modern-day Los Angeles, “The Trick is a lyrical, uplifting, and funny story that will tug at all of your heartstrings” (Armando Lucas Correa, bestselling author of The German Girl) that follows a young boy seeking out a cynical, old magician in the hopes that his spells might keep his family together. In 1934, a rabbi’s son in Prague joins a traveling circus, becomes a magician, and rises to fame under the stage name the Great Zabbatini, just as Europe descends into World War II. When Zabbatini is discovered to be a Jew, his battered trunk full of magic tricks becomes his only hope for survival. Seventy years later in Los Angeles, ten-year-old Max finds a scratched-up LP that captured Zabbatini performing his greatest illusions. But the track in which Zabbatini performs the spell of eternal love—the spell Max believes will keep his parents from getting divorced—is damaged beyond repair. Desperate for a solution, Max seeks out the now elderly, cynical magician and begs him for help. With gentle wisdom and heartbreaking humor, this is an inventive, deeply moving story about a young boy who needs a miracle, and a disillusioned old man who needs redemption. In the early days of the twentieth century, in the city of Prague, lived a man named Laibl Goldenhirsch. He was a rabbi, an unassuming teacher who sought to understand the mysteries that surround us all. A daunting task, but he pursued it with heart and soul. He spent countless hours brooding over the Torah, the Talmud, the Tanakh, and other riveting reads. After years of learning and teaching, he slowly began to understand the way things are, but more importantly, the way they ought to be. There seemed to be some discrepancies between the shining glory of creation and the often baffling and rainy world in which we humans are forced to spend our lives. His students valued him, at least the ones who weren’t fools. His words could light up the darkness like a candle. He lived with his wife, Rifka, in a tiny apartment in a ramshackle tenement building near the banks of the Vltava River. Their home consisted of only one room. They didn’t own much. A kitchen table, a woodburning stove, a sink, and, of course, a bed that creaked rhythmically during each Sabbath night, as it was written and decreed. Between the floors of their building was a miracle of modernity, an indoor toilet. To their daily annoyance, they had to share it with their upstairs neighbor, Moshe the Locksmith, a noisy man, an oaf, who fought frequently and loudly with his unpleasant wife. Rabbi Goldenhirsch lived in a time of great renewal, but for the most part he remained blissfully untouched by the momentous changes around him. Just a few years earlier, the gas lamps on the streets had been replaced by electric ones, which had people divided. Was it the work of Satan or was it socialism? Also, steel tracks had been laid by the banks of the river, and soon the carriages that used to rattle up and down the roads made way for a tram, its metal wheels screeching and emitting sparks of fire. This is what it looked like, the everyday magic of a new age. Laibl Goldenhirsch had little use for it. Trams or no trams, life was hard. He went about his daily work in much the same way that the Jews of Europe had done for centuries and would presumably do for centuries to come. He didn’t ask for much, and as a result, he didn’t receive much either. Lately, however, he couldn’t sleep. Night after night, he would lie in bed and stare into the darkness. In this new age of man-made wonders, was there no more room for real miracles? Rabbi Goldenhirsch was in need of one. There was something missing in his life: a son. He spent his days teaching the sons of other men—idiots, the lot of them—and when he looked at them, he imagined that one day he would look into the face of his own child. So far, his prayers went unanswered. The sun rose for others, but not for Laibl and Rifka. Many a night, the rabbi toiled away on top of his wife, but it was fruitless. And so the bed creaked less and less. The new century was still young when a war broke out. This was, in and of itself, nothing remarkable. Wars were always breaking out, like the flu. But this war was unlike others, even though Rabbi Goldenhirsch and his wife failed to notice it at first. This was the Great War. It would soon leave millions dead in its wake. It was no flu, it was the plague. His students asked him to explain what was going on, and for the first time in his life, he was confronted with something beyond his reach. Until now, he could simply blame God and His mysterious ways, but this new war was anything but divine. The rabbi was perplexed. He stood in front of his class, his mouth hanging open, stuttering helplessly. He knew the plain facts, of course. Archduke Franz Ferdinand had been assassinated in Sarajevo at the hands of a coward. But Sarajevo was far away from the center of the civilized world, deep in the Balkans: what did it matter if someone was shot there? The goyim were always shooting at one another. Was one archduke less really such a tragedy? He knew, of course, that human life was immeasurably precious, that each violent death was an act of blasphemy and so forth, and he understood why the emperor of Austria-Hungary—to whom he and the citizens of Prague had sworn their allegiance—was upset. But really, why should this concern him? But it did, greatly. Within a few months, agitation spread through the streets of Prague. Old men paced around the cafés, shaking their fists and waving newspapers around. Everyone tried to make sense of the latest developments on the front. Women anxiously gathered at Wenceslas Square, trading information about their sons, husbands, brothers, and fathers, who had eagerly joined the war effort. Very few realized that most of their men would never return. Those who were too young to fight studied the lists of the wounded and fallen, published every day, like the results of a soccer match. How many of ours? How many of theirs? The young were anxious to fight, and they would soon get the chance. The war raged on for many years and, in the process, became less and less choosy: it devoured all. And so it happened that, one sunny day, Laibl Goldenhirsch was conscripted into Emperor Franz Joseph’s army. When Rifka came home from the market, she burst into tears. Her spindly-legged husband was standing uneasily in front of their only mirror, dressed—somewhat unusually—in a uniform. He seemed confused as he held out his bayonet. “What do I do with this?” he asked her. “You stick it in a Russian,” Rifka replied, fighting against tears, but in vain. She hid her face and turned away. And so, Laibl Goldenhirsch marched off to a war he still didn’t understand. Rifka had to survive without her husband. Which, as it turned out, was remarkably easy. She realized that he really was rather useless around the house. She missed him anyway. Never before in her life had she missed something so useless with so much fervor. Almost every day, Rifka left the city and went into the woods outside of Prague, carrying two buckets full of coal, which she traded for butter and bread at nearby farms. Better to be cold than hungry. When summer approached and the days grew warmer, her endeavor became more difficult. She had to find other things to take to the country, and on the way back, she hid the butter under her skirt. Danger was everywhere. More than once, there was nothing left by the time she came home, especially when there was partisan fighting and she had to hide in the woods until it was over. Nothing left but a warm trail of molten butter running down her thighs. One evening in September, as she came home, she found Moshe the Locksmith from upstairs sitting on the staircase. He wore a ragged soldier’s uniform, and he was weeping. It was odd to see this giant of a man crying, his heavy bulk wavering, his head bobbing up and down. Deep and sorrowful sobs emerged from his body. When she went up to him and asked him what was wrong, he told her that he had just returned from the front, on furlough, but no sooner had he entered his apartment than his wife had told him it was over between them. He hadn’t heard from her in a while. No letters, nothing, he said between sobs. Rifka felt sorry for him. She had never cared much for the Locksmith’s wife, and she wasn’t terribly surprised that the cow had left the pasture. She took him into her arms and comforted him. The butter was still sticking to her leg. One bright Wednesday morning, Laibl Goldenhirsch returned from the front. He was limping, but otherwise in the best of spirits. Rifka was sewing a shirt when the door opened, and looked up to see his gaunt shape leaning against the doorframe. So bony! So thin! She dropped her needle and thread and flung herself into his weak arms. He held her, as best he could, and tears of joy streamed down her face. Laibl’s injuries were hardly dramatic. He showed Rifka a scar on his thigh. His commanding officer, he said, had spoken up for him, and he didn’t have to go back to the front. He was allowed to recuperate at a sanitarium in Karlovy Vary. He had a limp, but Laibl was now officially a wounded veteran. He sat down. Rifka gave him bread and asked him to tell her about the war. But his smile froze, and he seemed to be looking straight through her. Taking her hands in his, he gently kissed her fingertips. She searched in his eyes and found nothing but darkness. He shook his head. They made an unspoken pact to not talk about the front. Rifka’s husband was stunned. He could hardly believe it. How was this possible? All right, the bed had creaked for the first few nights after his return, but wasn’t it too early for the pregnancy to show? Rifka’s belly had already grown slightly larger underneath her dress. Laibl was pacing up and down, his black overcoat flapping about like the wings of an agitated pigeon. And as Rifka looked out the window, she suddenly had an idea. What was it that the goyim believed? What was it that their alleged Virgin Mary had said to Joseph? “It’s a miracle,” Rifka exclaimed. “God has worked a miracle for us.” As she said this, she cast her eyes downward in what she hoped was an appropriately virtuous manner. She managed to make her lips and hands tremble ever so slightly, because she seemed to remember that miracles were generally accompanied by trembling. “A miracle?” the Rabbi asked. He was baffled. As a rabbi, he was something of an expert on the subject of miracles. And this one seemed suspicious. Rabbi Goldenhirsch was still distrustful of the miracle. Also, his stomach was unwell. “It was an immaculate conception,” said Rifka. The rabbi threw his hands up in the air and began pacing once more. As night fell, he was no closer to solving this mystery. He decided he needed a break. The growling in his stomach was getting thunderous. “I’ll be right back,” he said. After removing the large toilet key from the hook by the door, he stormed out of the apartment, slamming the door behind him. He went up the staircase, where the miracle of modernity awaited him. He waited patiently, more or less, bouncing on the balls of his feet. A few minutes later, he was seized by restlessness. He knocked. He heard a gruff voice from inside, and some rustling. Finally, after what seemed like an eternity in the dark and cold staircase, the door opened. His noisy oaf of an upstairs neighbor, Moshe the Locksmith, came out, grumbling something incoherent, perhaps a greeting, then quickly averted his eyes to the floor as he furtively hurried past the rabbi. He was a large man, clumsy in movement and mind, too big for his own body, his arms and legs barely covered in torn rags. Like a golem. The rabbi looked after him. A thought occurred to him. “Moshe!” he called. The Locksmith stared at the rabbi. There had always been a strain of animosity between the two men. The rabbi considered the Locksmith a lowlife idiot, and the Locksmith thought of the rabbi as an arrogant fool. Laibl Goldenhirsch looked into Moshe’s eyes, hoping to detect something, anything, a strain of guilt, perhaps. “I meant to ask you something,” the rabbi cautiously began. Moshe simply nodded and continued to glare. If he felt any guilt, he certainly didn’t show it. “It’s about . . .” Laibl didn’t get any farther. His words ran out like water on sand. “Must be the wrong key,” said the Locksmith with the arrogance of an experienced tradesman talking to an amateur. Laibl Goldenhirsch was left standing in the gloom of the staircase. Silence. Then, after a few seconds, he could hear Moshe’s voice. It was quavering. “Forgive me,” said the Locksmith, barely audibly, as if his words had been swallowed by the darkness. Another pause. Rabbi Goldenhirsch heard a single, desperate sob echo through the staircase. “I miss her,” Moshe said. Then he trampled up the last few wooden steps and fled to his apartment, banging the door shut. Glancing out the round window above the staircase, he observed the nearby snow-covered roofs glistening in the moonlight. The sight was so beautiful it bordered on the miraculous. A thought occurred to him: The truth of a miracle is measured by faith alone. He saw a cloud drifting toward the pale brightness of the moon. The rabbi was thinking: if the cloud managed to hide the moon completely, he would take it as a sign from God. He would accept the birth as a miracle. He watched, spellbound, as the cloud slowly floated across the night sky. Then it covered the moon. For a moment, the rabbi stood in complete darkness, as if the world were yet unformed. When the cloud moved on, the milky moonlight engulfed his face. Suddenly, his anxiety left him. He stood there, trembling in the cold, his feelings like the bottomless sea. Waves of gratitude and love rose to the surface and drove salty tears down his cheeks. He took a deep breath and opened the toilet door. He went inside, closed the door, unbuttoned his trousers, lifted his overcoat, sat down, pressed his eyes shut, and chose to believe. Every child is a gift, and he decided to accept it as such. Why look a gift horse in the mouth? This reading group guide for The Trick includes an introduction, discussion questions, and ideas for enhancing your book club. The suggested questions are intended to help your reading group find new and interesting angles and topics for your discussion. We hope that these ideas will enrich your conversation and increase your enjoyment of the book. When the son of a rabbi walks into the tent of a traveling circus, his life is changed forever. Mesmerized by the Half-Moon Man and his beautiful assistant, he decides to leave home and train as a magician, eventually rising to fame under the stage name the Great Zabbatini. As Europe descends into World War II, Zabbatini is discovered to be a Jew, and his battered trunk full of magic tricks becomes his only hope for survival. Seventy years later in Los Angeles, ten-year-old Max finds a scratched-up LP that captured Zabbatini performing his greatest illusions. But the track in which Zabbatini performs the spell of eternal love—which Max believes will keep his parents from getting divorced—is damaged beyond repair. Desperate for a solution, Max seeks out the Great Zabbatini. What he finds instead is an elderly cynical magician in need of redemption who no longer believes in anything. 1. From the beginning of The Trick, Moshe Goldenhirsch’s story is woven like a fairy tale—a stark contrast to his reality when Max finds him at the King David Home for the Elderly in Los Angeles. How did this affect your perception of the magician? How did meeting Moshe Goldenhirsch affect Max’s belief in the Great Zabbatini? 2. How does Dr. Ginsky’s reaction to Rifka reflect the sociopolitical environment of that time period? How did his demeanor change when she mentioned that her husband was Laibl Goldenhirsch? Consider how this scenario might have played out today. How would you have reacted? 3. At the core of The Trick are themes of fathers and sons, identity, and coming of age. How did Rifka’s secret affect Moshe’s relationship with Laibl, the Locksmith, and the Half-Moon Man? Compare this to Harry and Max’s relationship. How did Moshe and Max’s relationship affect each of them? 4. On page 53, “Max realized for the first time that people had wounds you couldn’t see.” What are the invisible wounds each of the characters carry with them? (Moshe’s parents, Max’s parents, the Great Zabbatini, Max’s grandmother, etc.) How does it affect their beliefs, the way they see the world, and how they interact with one another? 5. On page 77, Deborah shouts at her son: “I should have had that abortion—then I wouldn’t have to deal with any of this!” What do you think of Max’s reaction to his mother’s outburst? How would you have reacted in that moment? 6. How is grief handled in The Trick? How do the characters mourn when Rifka passes away, when Max’s grandmother survives the death camp, and when Max’s parents announce they’re getting divorced? How does this parallel the invisible wounds they carry and impact their ability to move on? 7. Moshe has an emotional reaction to seeing the Statue of Liberty when he first arrives in the United States. The Statue of Liberty has become a powerful symbol for incoming humanitarian refugees. How was seeing the Statue of Liberty upon arrival different for refugees than the airports that receive them now? What happens when those ports aren’t as welcoming as they had hoped? 8. Compare the challenges that young Moshe struggled with in Europe versus the problems Max faces in Los Angeles. Can they be compared? Despite the difference in gravity, do they weigh equally on each boy? 9. Disappearing is a common theme in The Trick, whether literally or metaphorically. Discuss its effect in each instance. 10. Max believes with his whole heart that the Great Zabbatini’s eternal love spell will keep his parents together, but the magical whimsy of a child can only go so far. What would have actually saved their marriage? What caused Deborah and Harry’s relationship to fall apart? 11. Piles of suitcases are often shown in pictures of the Holocaust as symbols of death. How, in The Trick, do they represent life? 12. For Max’s grandmother, it’s important to share her past and the story of how she survived the Holocaust. Have you heard similar stories from your grandparents? Do you think it’s important to preserve our family history and continue to pass it down from generation to generation? 1. The Trick recalls the melancholy humor of Isaac Bashevis Singer’s stories and Jonathan Safran Foer’s Everything is Illuminated, and the heartbreaking pathos of the film Life is Beautiful. Read those titles and watch the film with your book club for comparison. What are the similar themes that occur? Compare and contrast how each work approaches them. 2. The Great Zabbatini’s actions during the war create a ripple effect that trickles down to Max Cohn’s very existence. Do you know of any such event in your family history? Follow up on the lives of refugees and survivors that have been mentioned in the news. How have their lives been impacted by an act of kindness of this magnitude? How many more weren’t as lucky? 3. 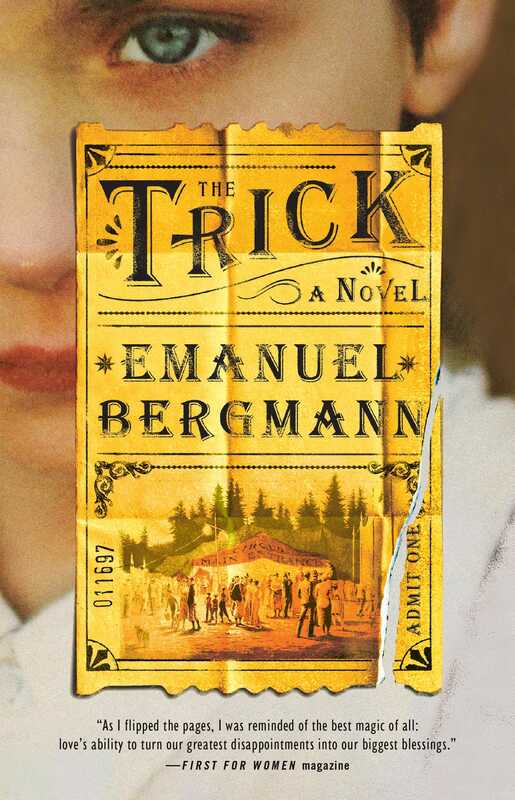 To learn more about Emanuel Bergmann, read reviews of The Trick, find him on tour, and become a fan of his Simon & Schuster author page at http://www.simonandschuster.com/authors/Emanuel-Bergmann/2115017483. 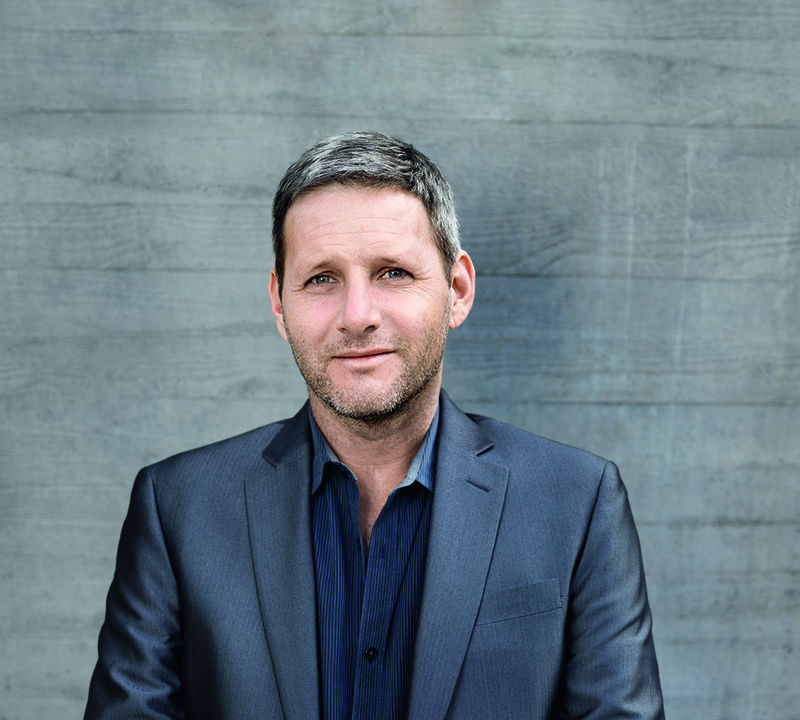 Emanuel Bergmann was born in Germany and is a journalist and translator. He has been living in Los Angeles since 1990. His first novel, The Trick, was an international bestseller. "As I flipped the pages, I was reminded of the best magic of all: love's ability to turn our greatest disappointments into our biggest blessings." "The twin stories of Max and the octogenarian born Moshe Goldenhirsch in Prague will mesmerize readers as they move ever closer to the finale. While Max hunts down his quarry, I was envisioning the fortune-telling machine at the heart of the Tom Hanks film Big, but the images Bergmann creates are eerier and more devastating in his exceptional work." "The tragedy of the past weaves together with humor, love, and a belief in the impossible in The Trick."